A Bit of Sass: Now Trending - Matching Separates! 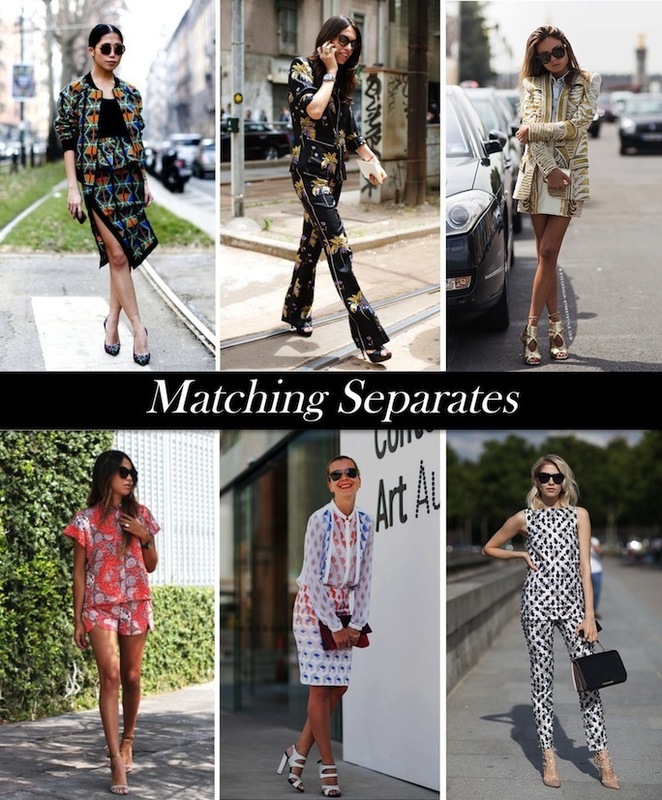 Now Trending - Matching Separates! Matching separates are all the rage, so if you haven't embraced the trend yet, now is the perfect time to put on your prints! The great thing about matching print separates is that pieces look of-the-moment together and act as a focal point when worn with something subdued (like basic black). For a feminine yet professional play on the trend try a floral print suit, or take it a step further and go for a "too cool for school" bomber jacket and matching bottom. As usual, I've been doing a little online window shopping and have found a number of options I would love to see in my closet! The Proenza Schouler skirt and jacket combo above is seriously fierce fashion, but unfortunately I don't see it in my bank account's near future. 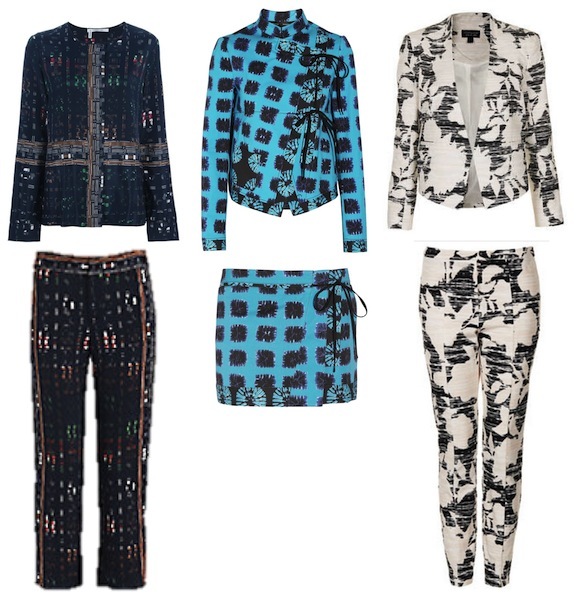 For a more budget friendly but high quality buy, try printed separates from Clover Canyon or 10 Crosby Derek Lam. And for savvy savers check out Topshop and Asos. I am literally obsessed with this trend! Love the topshop find! I love Sincerely Jules's short pants suit! Too cute. This is one of my favourite trends of the moment! I do love matching separates! I just haven't found the right pair for me yet! I love all of these looks! I can't say that I'm big fan of this trend. But in some cases i looks sooo amazing!